With Readly you can read Raspberry Pi The Complete Manual and thousands of other magazines on your tablet and smartphone. Get access to all with just one subscription. New releases and back issues – all included. 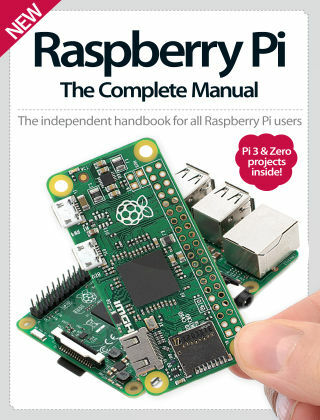 Featuring a wealth of simple beginner’s guides, as well as tutorials for all models of Raspberry Pi, including the new Pi 3 and Pi Zero, Raspberry Pi The Complete Manual is an essential companion for anyone wanting to expand their knowledge of the pocket-sized computer.